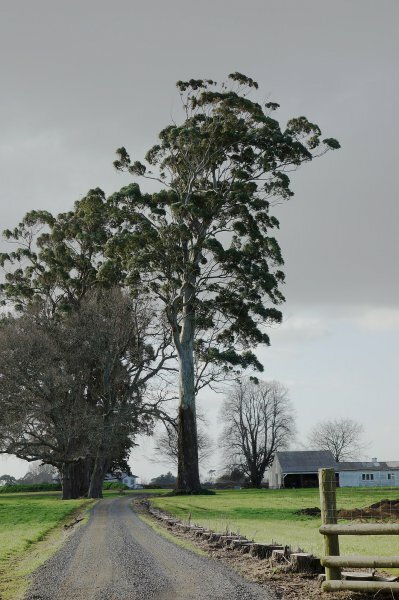 Number 26 in Burstall & Sale's "Great Trees of New Zealand", this impressive Sydney Blue Gum is visible from SH1 just north of Cambridge (Smillie, 2014). Girth estimated from apparant diameter measured using image analysis. Okay appearance, foliage is noticeably sparser compared to photograph in Burstall and Sale. First branch at 18 m.
06 Aug 2014 Smillie, M.J.